A celebration of anti-inflammatory food, travel, and living well with autoimmune disorders. Original recipes, usually GLUTEN-FREE and DAIRY-FREE, with little or no added sugar. It’s strawberry season! 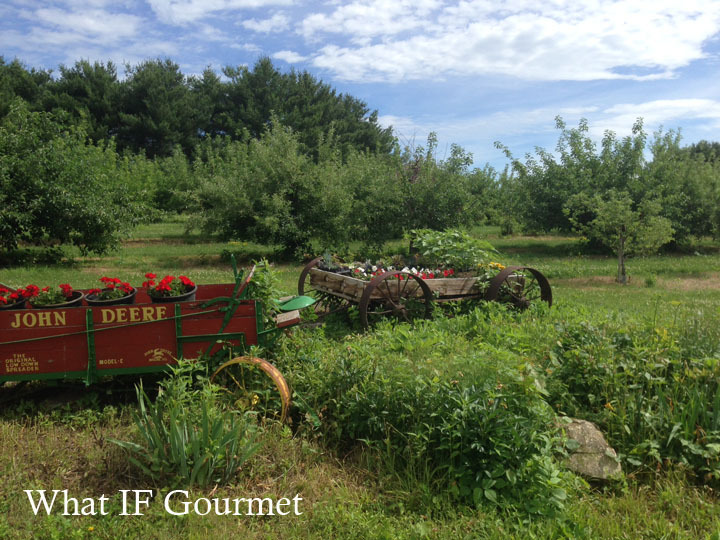 Last week, I dreamt that the Midwestern Gentleman requested strawberry-basil sorbet, and as synchronicity would have it, Berry Patch Farm opened its pick-your-own strawberry patches on Saturday. So, naturally, we went strawberry picking. 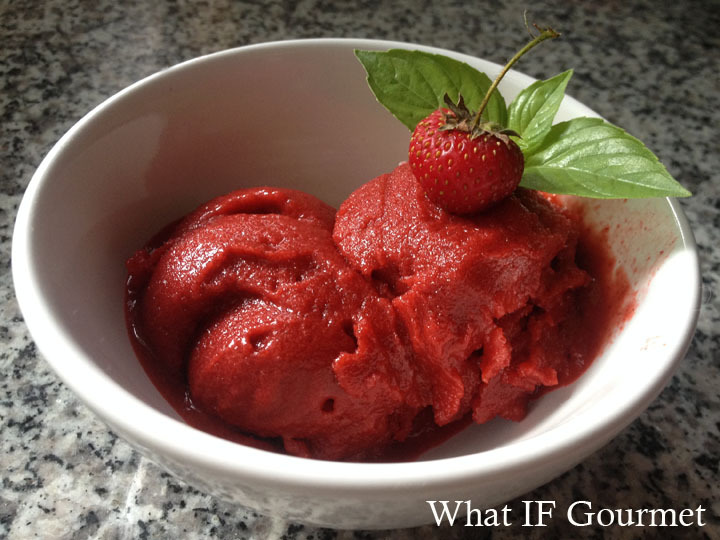 I hulled, rinsed, and froze nearly three quarts of tiny, perfectly ruby-ripe strawberries for later use, but I set aside some of the berries to make this bright, refreshing sorbet. Dreams do come true! A perfect morning for berry picking at Berry Patch Farm, Nevada, IA. I grow five different varieties of basil, including sweet basil, Red Reuben basil, Mammoth Sweet basil, and Spicy Globe basil. However, for this recipe I used Mrs. Burns Lemon basil. Here in my central Iowa garden (Zone 4-5), Mrs. Burns Lemon basil has been growing hardily and healthily, and is twice the size of my other basil plants. I love its intense, lemony fragrance, which adds a little something extra to this sorbet. 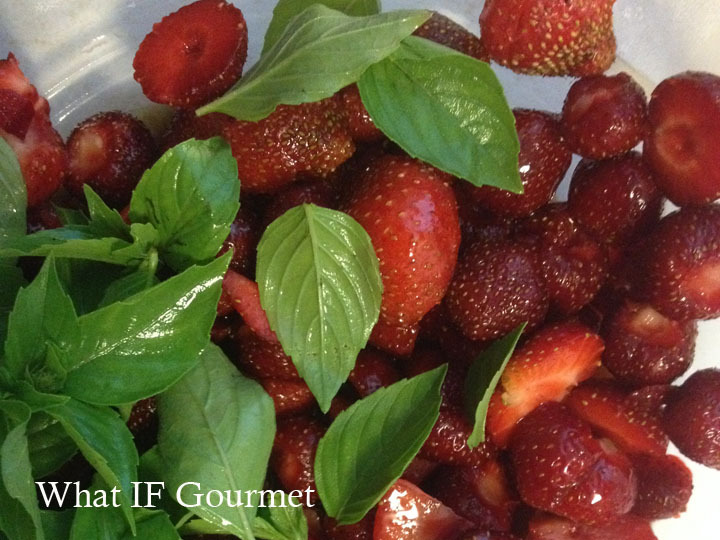 However, nearly any basil would pair nicely with ripe, juicy strawberries. You might be surprised to see vodka in a sorbet recipe, but you won’t be able to taste it in the final product. The alcohol prevents the formation of ice crystals, giving the sorbet a smooth and creamy texture. Combine first three ingredients in a medium-size bowl, cover, and set aside at room temperature for about an hour, until strawberries have released their juices and softened slightly. Combine the macerated fruit mixture with the alcohol in a blender or food processor, and puree until very smooth. Pour into a freezer-safe container and freeze until firm. When the sorbet mixture is firm, scoop it back into the blender or food processor, and puree a second time until smooth and creamy. Pour it back into the freezer container, smooth it down to eliminate air pockets, and freeze until ready to enjoy. I recommend letting the sorbet container sit out at room temperature for about five minutes before scooping. This entry was posted in Anti-Inflammatory Ingredients, berries, Dairy-free, Desserts, fruit, gardening, Gluten-free, herbs, Just Keep Me Movin', Nut-free, Recipes, Snacks, Vegan, Vegetarian. Bookmark the permalink. I’m going to have to wait until after IM to try this, but it is going to be a must try!! 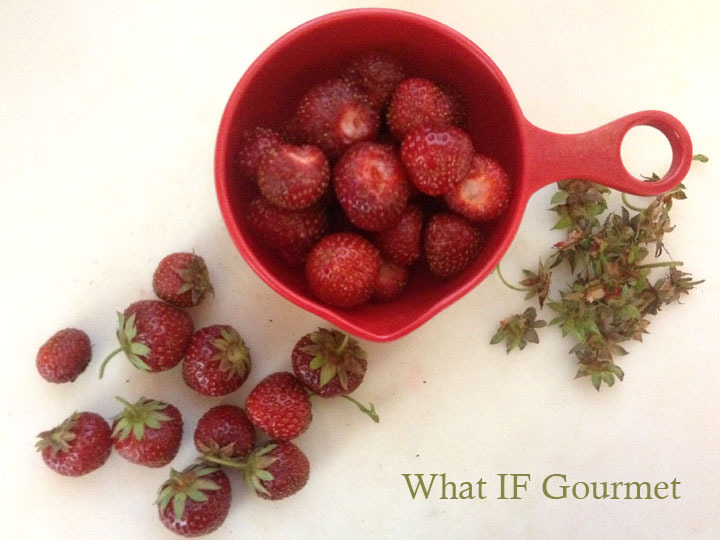 © What IF Gourmet, 2012. Unauthorized use and/or duplication of this material without express and written permission from this blog’s author and/or owner is strictly prohibited. Excerpts and links may be used, provided that full and clear credit is given to What IF Gourmet, with appropriate and specific direction to the original content. Enter your email address (ssh... I'll keep it confidential!) to receive new inflammation-free posts straight to your Inbox. 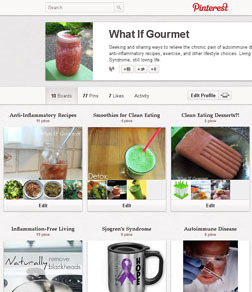 What IF Gourmet is on Pinterest!